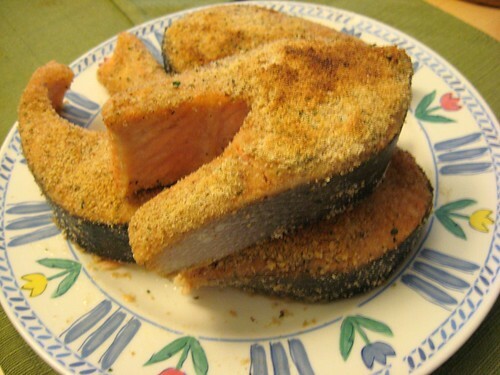 Broiled Salmon With Breadcrumbs | Hapa...Shot the Food! In the past, I also hadn’t attempted to broil things using our gas stove. While the apartment’s stove had a broiler, it was close to the ground, and I’d invariably have to stoop. All of these problems were solved when Dan and I bought a new toaster oven (pictured later). Now we can toast, broil, bake, and clean things out with relatively little fuss and guesswork. 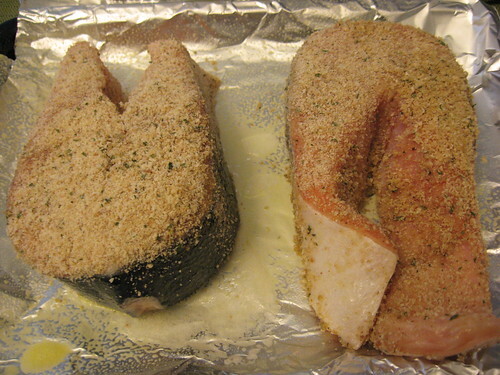 Only a few ingredients are needed for this dish: salmon (steaks were used in this recipe since they were less expensive at the store, but fillets work fine, too), olive oil, garlic salt and breadcrumbs. 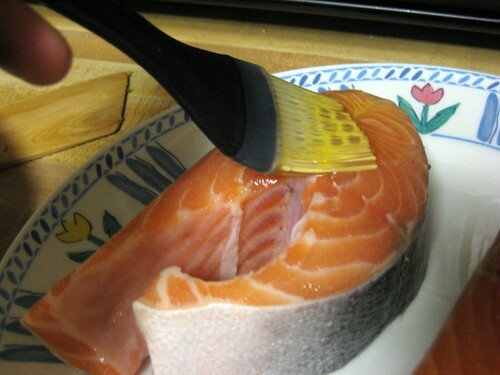 First, I brushed the salmon steaks with olive oil. 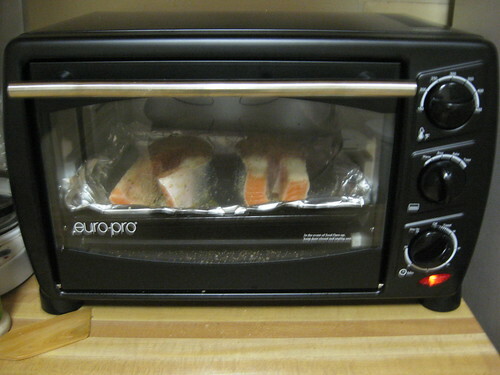 After spending 15 minutes in the toaster oven, the steaks are done… The bread crumbs are browned a little, and the salmon is fully cooked and ready to nom! 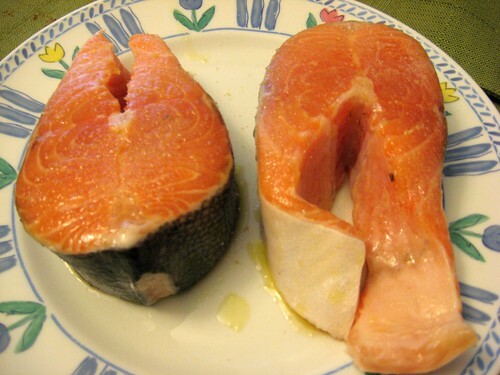 Posted on September 13, 2009, in entrees, quick and easy, recipe and tagged fish, salmon. Bookmark the permalink. Leave a comment.